Use any mix of beans you have. No bacon? Use 1 teaspoon cooking oil to saute vegetables. Transfer to a 9x12 baking dish or 3 quart casserole dish. Bake in a preheated oven for 1 hour. 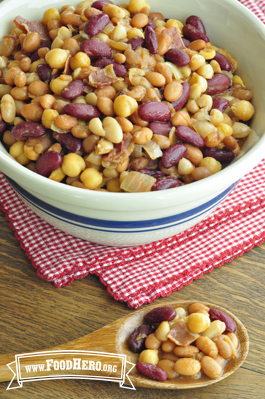 1 Comments for "Baked Bean Medley"
My family loves this recipe. It's perfect to bake ahead of time and take warm to a potluck. Huge hit!